Do you like playing real-time strategy games, but just don’t have the time? 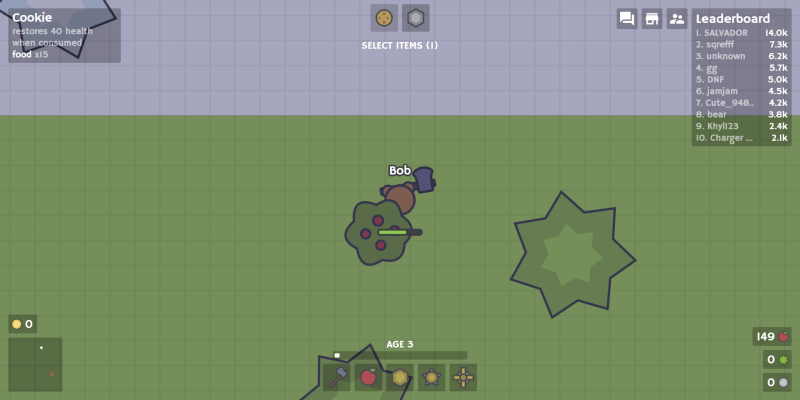 Then MooMoo.io is perfect for you. In this adventure game, your aim is to amass the greatest amount of gold among all players in one of the servers. You can get gold by 1) Hitting gold mines, or 2) Building windmills, which generate gold. Since this is a multiplayer game, there are other players battling for server supremacy. You’re going to need lots of resources to build defenses and upgrade weapons. Apples – Collected from fruit trees, gives food to restore health. Wood – Collected from other trees, used for building and upgrades. Stone – Collected from quarries, used for building and upgrades. You use various weapons to collect resources, kill enemies, and destroy structures. These include axes, swords, and bow and arrows. 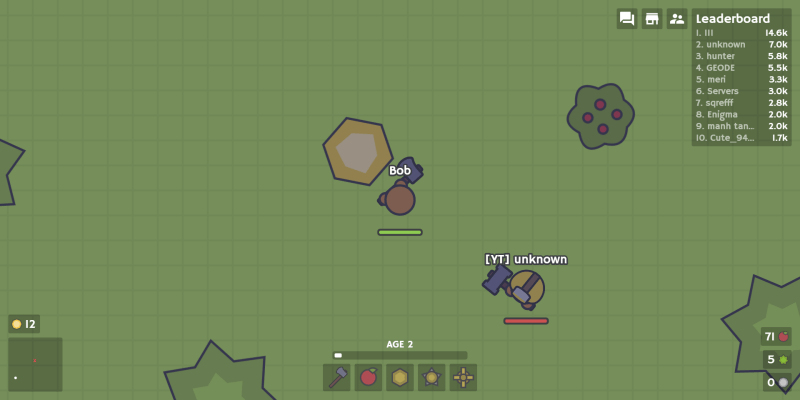 Defense structures can be build around your windmills to protect them. 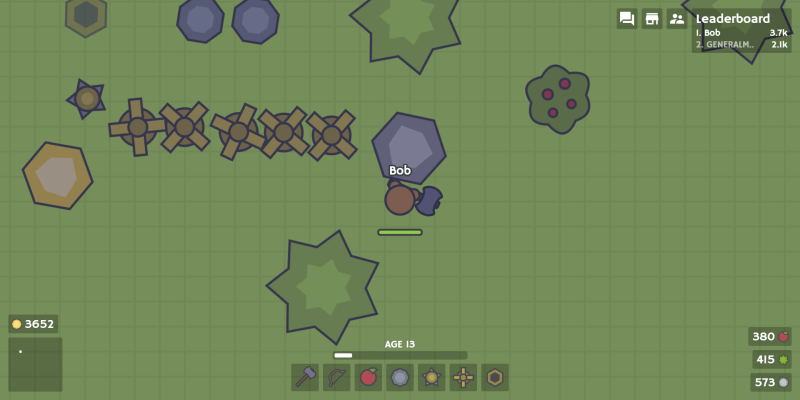 You can choose to put up walls, or place traps, spikes, and others. 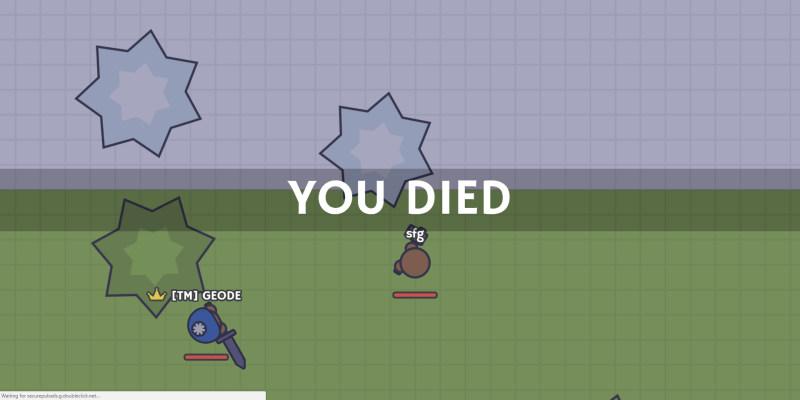 Like many so-called “io” games, MooMoo makes it possible for even newbies to kill high-ranking players. Even if you’ve accumulated a million gold, someone with zero gold can still kill you. The only real edge that a top player has is if they have loyal tribe members that can help kill enemies. So getting into a team is recommended. 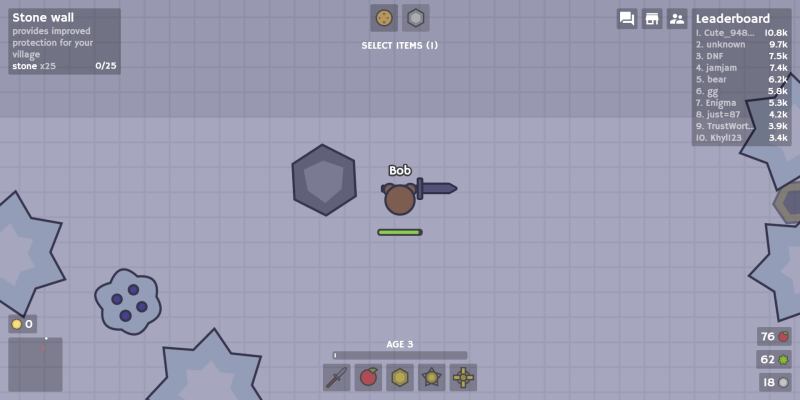 Click here to play MooMoo.io.